"Ancient Alexandria - a look back in times when Alexandria was one of the most magnificent cities of the world, home to Alexandria Library and The Lighthouse of Alexandria." A long stretch of grey concrete buildings with no character, thrown upon each other, pierced here and there with mosque minarets, that’s what you’ll see stretching along the Corniche waterfront as your Mediterranean cruise ship approaches Alexandria port. Looking at the city from this perspective or riding through its dirty streets on the way to the pyramids, the major attraction for a typical tourist, it is easy to forget, or maybe never know, ancient Alexandria was one of the most extraordinary cities of the ancient world. Founded by Alexander the Great in 331 BC, ancient Alexandria was soon taken over by the Ptolemies, a dynasty stemming from one of Alexander’s generals. The time of the Ptolemies and their Egyptian empire coincided with the times of Hellenistic civilization, which exported Greek language and culture around the Mediterranean and Asia. 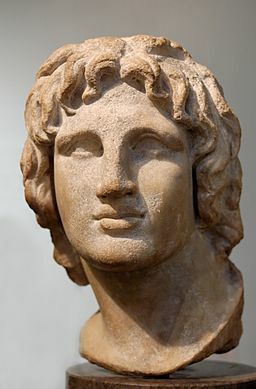 Thanks to Alexander the Great and his legacy, the world was connected by one cultural and intellectual experience, and the true representative of it was ancient Alexandria. Supportive of science and learning in general, the Ptolemies promoted Alexandria as a cultural center and invited Greek men of letters to live, study and teach in the peaceful and supportive environment of the Museion and its famous Alexandria Library. The Alexandrian library was established as a place supposed to contain all of the books of the world, at least those they considered to be worth serious attention. Pampered by the Ptolemies and having access to all the knowledge of the world, it’s no wonder the learned men who stayed at Alexandria Library take credit for numerous important scientific achievements. Besides being a learning center for all of the known world at the time, the city was also a major trading center. Foreign merchants and businessmen shipping glass, papyrus, textiles, agricultural produce, spices and ointments, set up their offices here and this made it a real cosmopolitan city. Egyptians, Macedonians, Nubians, Jews, Persians, Romans, Syrians and Greeks lived here peacefully side-by-side, each speaking their own language and worshipping their gods. They say that at the time, ancient Alexandria was far more beautiful than Rome: it’s main road, Canopus, stretched for 5 kilometers. Around the city there were royal palaces, temples, administrative buildings, groves and gardens scattered around. This is where one of the Seven Wonders of the Ancient World stood, the famous Lighthouse of Alexandria. If you would like to learn more about what's hiding under the waters around Pharos, where the Lighthouse once stood, read the article on The underwater archaeological investigations of the ancient Pharos and the interview with Jean Yves Empereur, the director of the French Center for Alexandrian Studies in Alexandria, Egypt. This is where Anthony and Cleopatra loved… in Cleopatra’s palace, now sunken in the harbour of Alexandria. Maybe you didn’t know, but the Egyptian obelisks standing in New York’s Central park, in London and Paris are also called Cleopatra’s Needles, as they once stood in Caesareum, a temple built by Cleopatra in honour of Mark Anthony. Although during Roman times ancient Alexandria was more of a provincial capital, when the Arabs arrived in the 7th Ct the marble dazzled them so much they say they had to shield their eyes. At the time, the city had 4000 palaces, 4000 baths, 400 theatres and 1200 greengrocers! So, when your bus rolls through the dusty streets of Alexandria, instead of looking at the dilapidated facades you probably won’t like, try to imagine what was happening here over 2000 years ago… you might be passing over the very spot where Alexander the Great’s body lays buried, where Cleopatra once kissed Mark Anthony or where some of the greatest minds of the ancient world lived!